I negotiated flexibility in my return to work. I've had people tell me "oh, my employer would never allow that", but you know what, Tesla isn't exactly known for short hours and low pressure. I suspect there are a lot of people at Tesla who would also say "oh, my employer would never..." yet Tesla gave me the maternity leave I wanted. We hired help. I know, two engineering incomes make this easier than for some people, but I had to see how much hiring nannies helped my brother and sister-in-law have personal time in their first year as parents to appreciate the value. The extra expense in that first year was well worth the reduced stress. I stopped feeling guilty about letting things slide. I set explicit priorities and fulfilled the really important ones, like taking care of the kids and my marriage and myself. I didn't even try for the trivial stuff. And I accepted that things of middle importance sometimes get done and sometimes get neglected. I exercised. Healthy body, healthy mind. Exercise was an explicit priority and I prioritized time for exercise in my schedule. I'm back at my pre-baby weight not by mere chance. 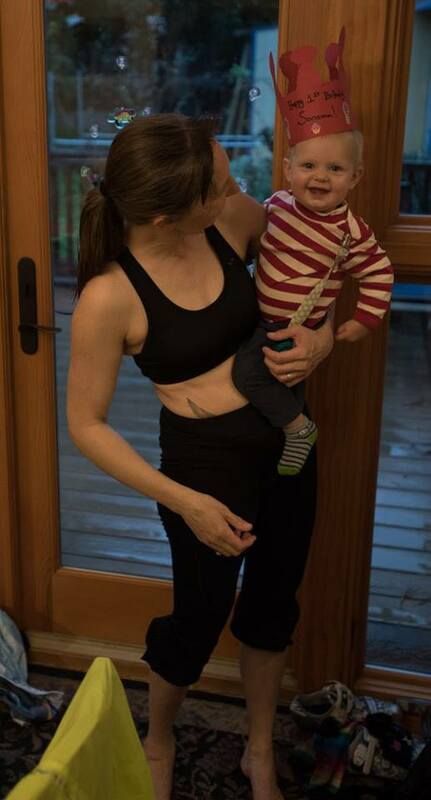 Staying fit and feeling like I look good for a working mom of 3 (let's admit it -- that belly skin sags after stretching to accommodate a baby) helps me be happy, which helps me be a better mom and a better wife and a more efficient employee. Written 22 March 2016. Updated with link to Medium.com on 17 February 2019.